Gleeful simplicity defines this nine-light, two-tier chandelier from the Joy Collection. Refreshing and fashionable arcing forms of Antique Bronze metal arms enhance the etched white fluted glass. Coordinating fixtures from this collection let you decorate an entire home with confidence and style. Unique stem-hung construction carries the clean line all the way to the ceiling and, for sloped ceilings, six feet of 9 gauge chain is provided to allow the fixture to hang straight and level. 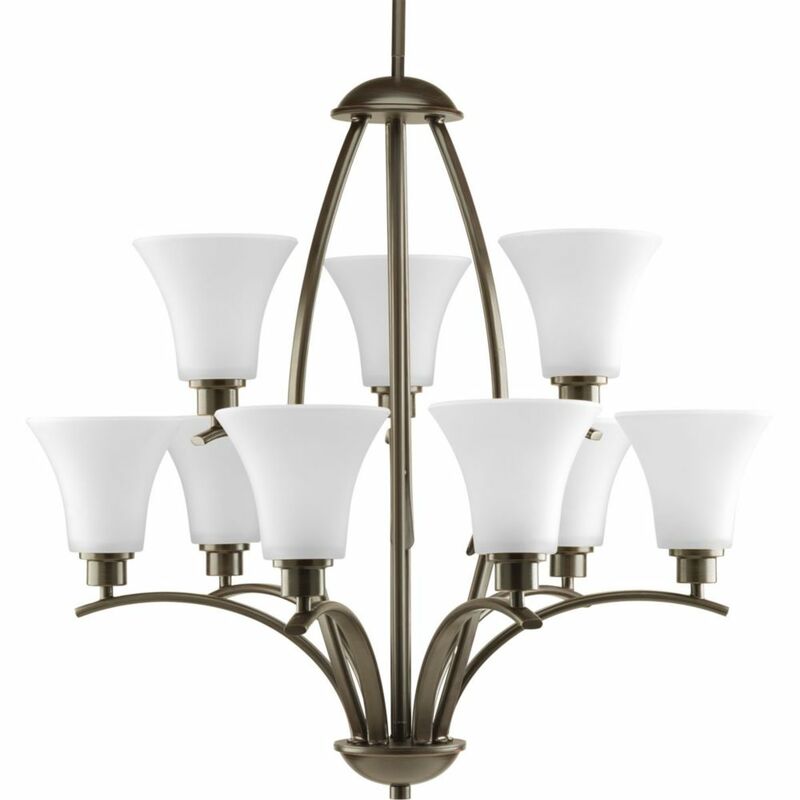 Joy Collection 9-light Antique Bronze Chandelier Gleeful simplicity defines this nine-light, two-tier chandelier from the Joy Collection. Refreshing and fashionable arcing forms of Antique Bronze metal arms enhance the etched white fluted glass. Coordinating fixtures from this collection let you decorate an entire home with confidence and style. Unique stem-hung construction carries the clean line all the way to the ceiling and, for sloped ceilings, six feet of 9 gauge chain is provided to allow the fixture to hang straight and level.